I am one of those people that will have guests come over and then I'll serve them something I have never tried, not sure whether it will work, but we'll give it a go anyway. I love when I have guests that have no problem trying things, then they give me the verdict of whether they like it or not. I made an Orange Tea Cake for dessert for guests that I had coming over, as I wanted something simple and not creamy after dinner. But I also felt like making a Lemon Tea Cake. So off I went looking for a recipe, I found this one. It was very easy to make, and I mean very easy. After I baked it, I poured over the sugar syrup. Now in all honesty after pouring over the sugar syrup, I thought the cake would be too sweet, I wasn't expecting much from this cake. But boy was I surprised. 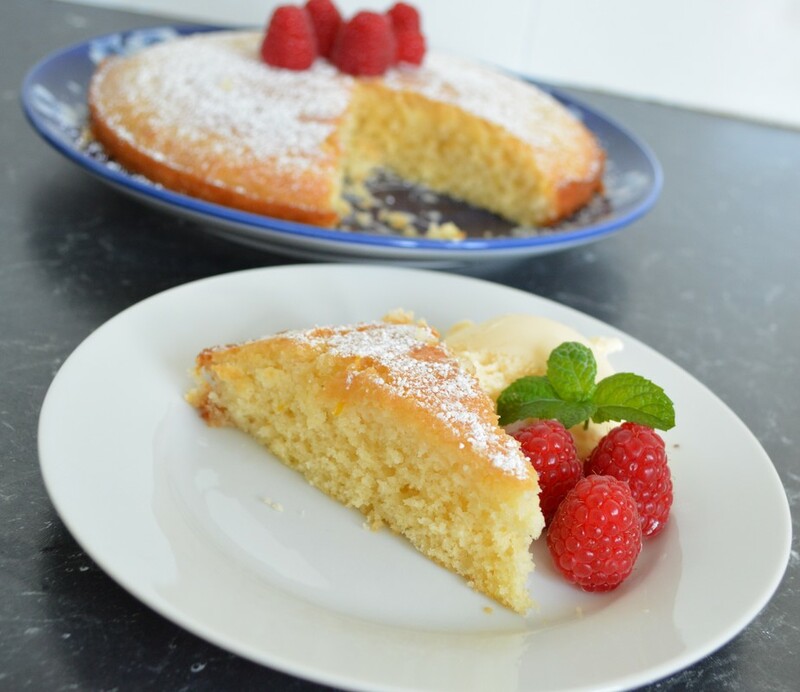 This cake bursts with lemon flavour, it wasn't sweet at all. It was the perfect Lemon Tea Cake. I loved it, my friends loved it, it was a hit. After a lovely dinner, both my cakes were enjoyed, a lovely evening was had by all. Grease and line with baking paper a 20cm round cake tin. In a large bowl, add the butter, zest and sugar, beat with electric beaters until light and creamy. Add the egg, beat until combined. Add the flour and milk, over low speed, beat until just combined. I then like to use a spoon to continue mixing until the batter is smooth. Pour the mixture into your prepared pan, bake for 30 minutes, insert a skewer into the centre if it comes out clean, it is done. Also if you press on the cake gently, it will feel done. Leave the cake to cool in the tin. Make the Lemon Syrup: Place the lemon juice and sugar in a small saucepan. Place over a medium heat, stirring, until the sugar has dissolved. Just bring to the boil and turn off immediately. Poke your cake all over with a skewer to make pathways through the cake for the lemon syrup to get into your cake. 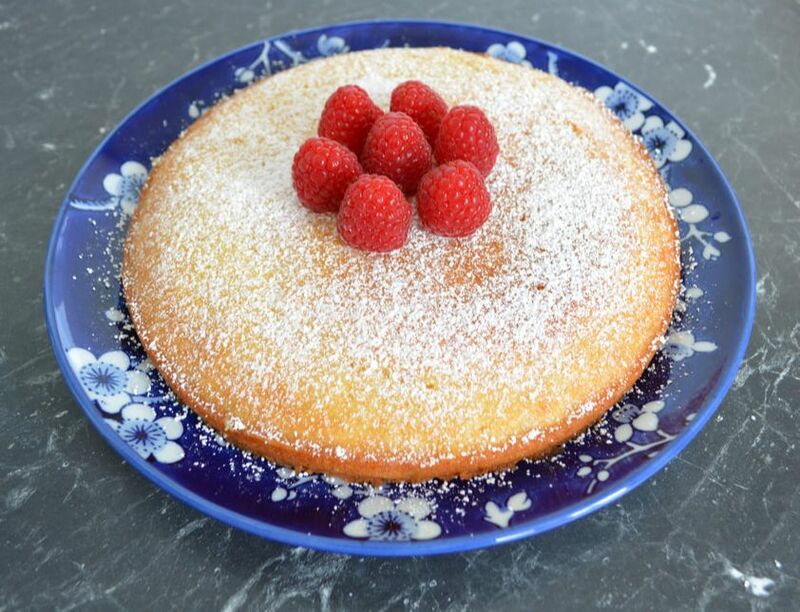 Carefully pour the lemon syrup all over the cake, it will disappear into the cake. Leave the cake to cool completely in the tin. Once cool, place on a serving plate, top with extra lemon zest.